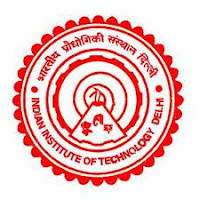 Jobs Details :- Application are invited for the Posts of Junior Research Fellow in IIT Delhi . Qualifications : 1st Class M.Tech or equivalent in Textile Technology/ Textile Engineering. Pay Scale : Rs.18000/- + HRA. How to Apply : The candidates who are interested to apply for the above post should send their applications with complete information regarding educational qualifications indicating percentage of marks/division, details of working experience and a recent passport size photograph along with an Application Fee (non-refundable) in the form of Bank Draft drawn preferably on State Bank of India in favor of Dean( IRD), IIT Delhi of Rs.50/- addressed to the Assistant Registrar, IRD, Indian Institute of Technology (IIT) Delhi, Hauz Khas, New Delhi – 110016. The last date for receipt of duly completed applications is 05th July 2012. Good job vacancy. Thank you for this post.